To create, foster and sustain an environment of cultural diversity, educational enrichment, and fulfilling experiences benefitting all who live and work within our community. Since 2002, the Eisemann Center for Performing Arts has hosted world-renowned performances and a wide variety of events. Volunteers are integral to providing the friendly and professional environment our patrons expect. No experience is necessary to join this fun and close-knit theatrical family. Potential volunteers age 16 and up with an enthusiasm for performing arts and excellent customer service are invited to apply to the Encore! Volunteer Program. Schedules are flexible, and volunteers are expected to work at least two events per month and make a commitment of at least six months. 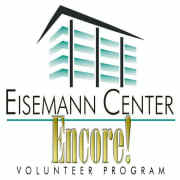 Would you recommend Eisemann Center for Performing Arts?